I will be speaking at the Humanity+ Summit this Sunday, December 6th on the subject of Augmented Reality, and how to make sure we use AR to get to an awesome future! What is going to be like to be a human in this next phase of technological progress? How can we get our heads around it so when it arrives we’re best prepared to deal with it? We foresee the feasibility of redesigning the human condition, including such parameters as the inevitability of aging, limitations on human and artificial intellects, unchosen psychology, suffering, and our confinement to the planet earth. The possibilities are tremendously broad and exciting — and the H+ Summit will provide a venue to discuss them with like-minded individuals, and hear exciting presentations by the leaders of the ongoing H+ r/evolution. 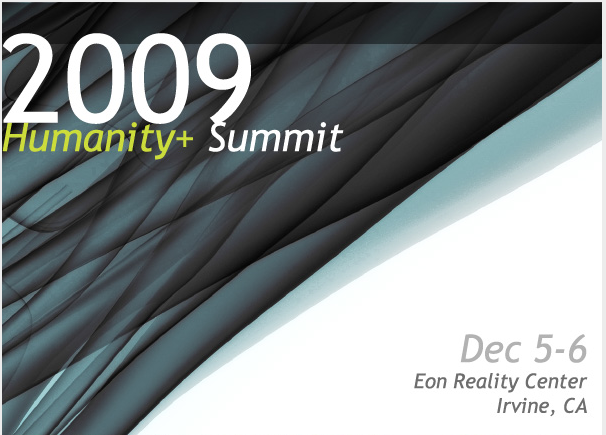 The Summit will be held at EON Reality, Inc. – The world’s leading interactive 3D visual content management and Virtual Reality software provider. It should be fun, I’m really looking forward to meeting everyone there.